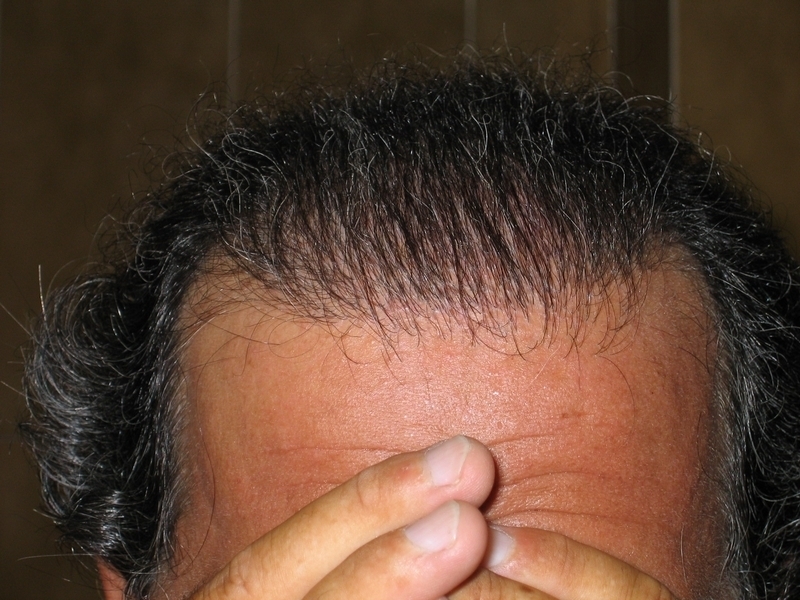 Our Patient is 46 years with an open donor from 2 punch graft 4mm ops, 3 poor Strips and 1 scalp reduction leaving him with no results and an open donor. 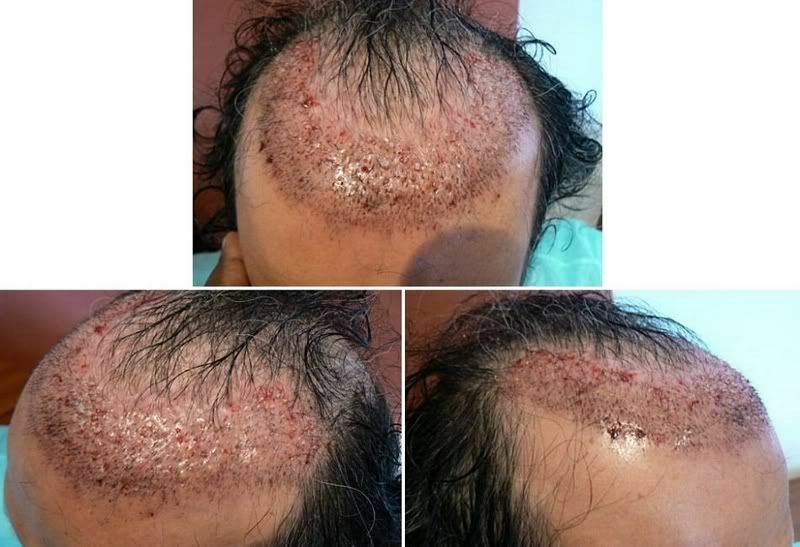 His scalp donor was very tight due to all the previous work leaving the donor hard to harvest from and in the recipient he has ridging and pitting. 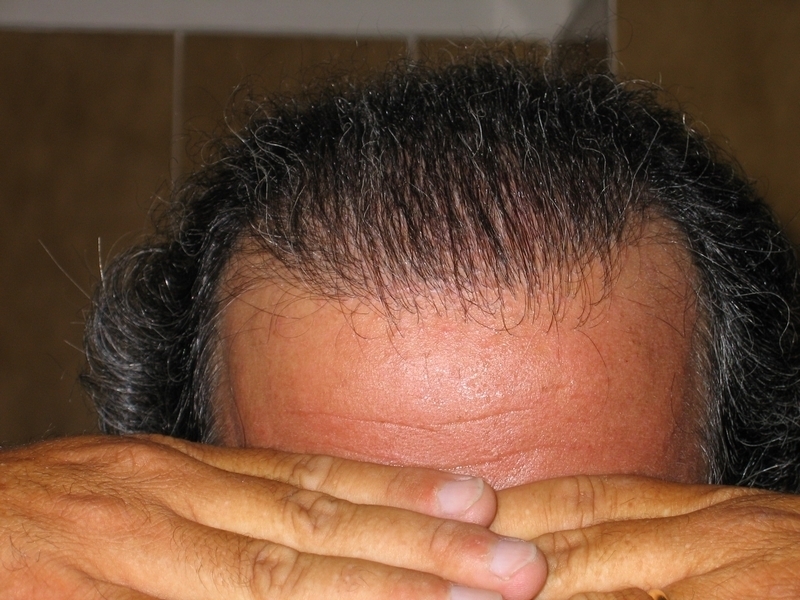 It was decided not to use FUE because of his enormous existing scarring. His open donor made FUE very difficult, and he did not want to shave because it would have been impossible to go anywhere in public for months with the amount of scarring, there was no way to harvest without total shaving because the scarring was so extensive. 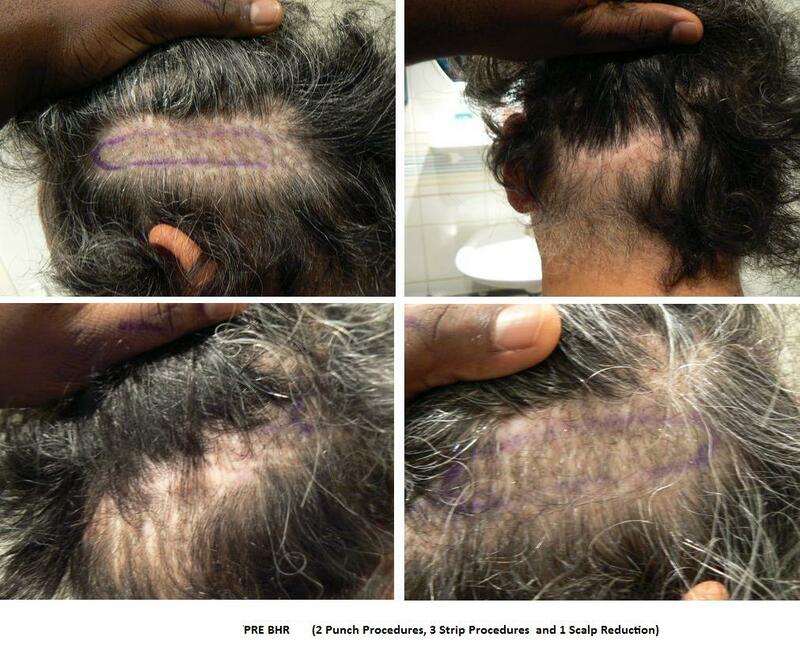 With FUT/Strip we used 1421 FU to improve the frontal area that was his first priority. Dr. Christian Bisanga also removed via FUE 35 Plugs that were replaced back in different areas. To say he is pleased with the outcome considering his donor is an understatement. I think he will look a lot nicer if he gets a haircut, the sides are too bushy. This very efficient use of grafts, you have to have excellent placement and yield in order to cover that large an area using only 1400 grafts. My only question is whether this guy is limited to the way he styles his hair? 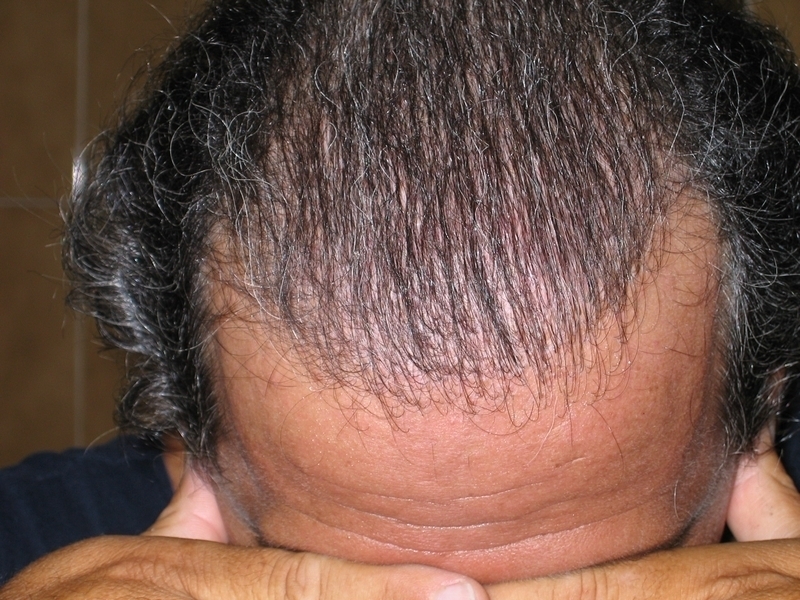 I can see the grafts are strategically placed in order to give this patient so much coverage, but that works only if he combs his hair back like what you have in the picture. Will it look natural if he parts his hair on the side? RF, I think this is very cleverly done, it is a combover that actually looks natural, instead of combing over sideways, it is done backwards and it works for this guy. You are missing my point. The result is nice with only 1400 grafts, it covers a large area but it doesn’t give him the luxury to part his hair on the side, in other words he is limited as to what he can do with his hair, this is the one style that works and that’s it. Generally, I think the patient has more options as to what he can do with his new hair, but not in this case. I like the idea that with FUT|Strip the frontal area was celected as the first priority, considering his extensive scarring, good work. » donor hard to harvest from and in the recipient he has ridging and pitting. » It was decided not to use FUE because of his enormous existing scarring. » shaving because the scarring was so extensive. » were replaced back in different areas. Hi all, and thanks for your comments. Sometimes repair work is misunderstood and takes some educating of the patient because it is not uncommon they are looking for more than can be realistically achieved with the resources available. 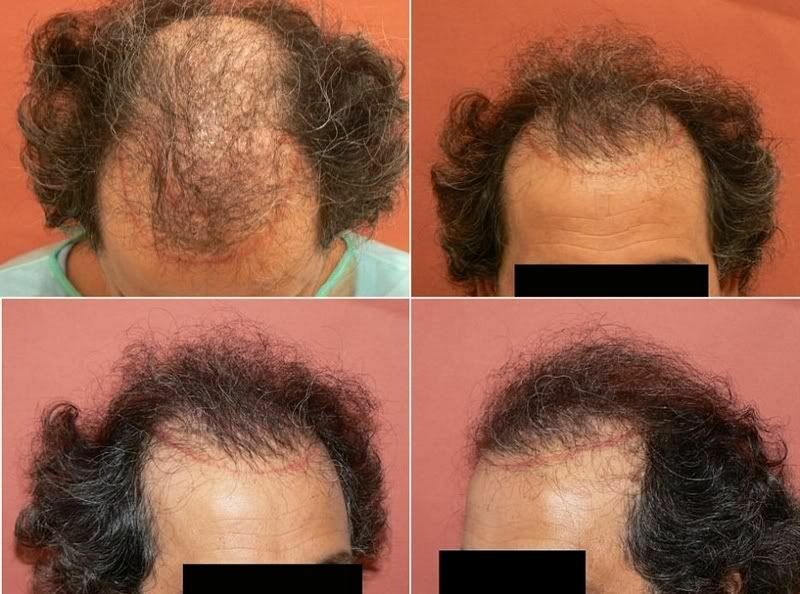 In this case we are not talking about a virgin NW6 and placing 3000 in the frontal 1/3 and more behind giving him the options to have almost whatever style he likes, the goal was to get him to a stage he feels comfortable and happy with, thankfully achieved. When the donor is open as his planning is everything, he has more in the bank and so future options, density can be increased if he so wishes but it is not his priority, more so to gain a little more coverage; not sure he ever had a middle parting, I will try and find out though, he’s more of a slicked back off his face kind of guy. Considering his previous nightmares I think BHR has done a remarkable job. It’s not easy to work with repair cases of such as this. Well done and 2 thumbs up!